Size: 643 sq.ft. - 1092 sq.ft. 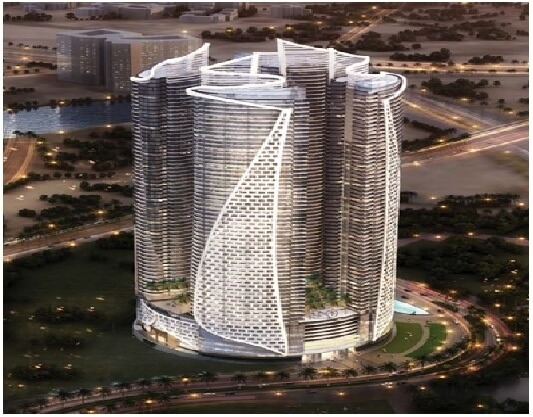 A mega project "Damac Towers" by Paramount is consisting of four buildings. One of the tower will house the Paramount branded hotel while the other three buildings will have the Damac Maison Paramount serviced residences. 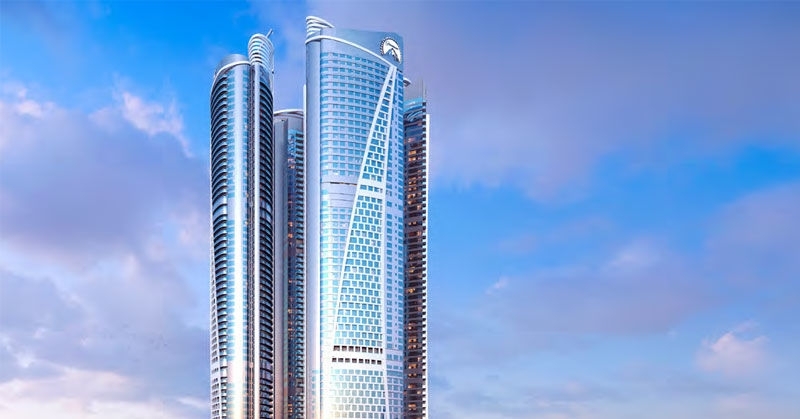 The whole Damac Towers complex will cost around US$1 billion. The buildings provide luxury serviced residences with stunning views and an array of amenities for the buyers. The project comes with a sky lobby with fabulous views, a private screening room courtesy Paramount Pictures. The Paramount hotel building will be between the floors 15 and 36 and will offer several attractions and luxuries to residents. Damac Towers is a new luxury hotel & residential complex in Business Bay. Each of the four towers is stretches over 250 metres in height and joined by a multi-level plaza.This four-tower development comprising circa 1200 luxury serviced suites in the three towers and will offer sumptuous living with a Hollywood flavour. The fourth tower will house the world’s first Paramount Hotel and Paramount Residences.There are more than 1K serviced 1, 2 and 3 bedroom apartments and the hotel will have 800 rooms. The residents of the project will enjoy the stunning views of the tallest tower in the world, Burj Khalifa and the so called City within the City which is the Business Bay Development.Business Bay in Dubai has been considered as the central business, commercial and residential area.Residents and guests can enjoy high-end shopping with the perfect combination of global luxury and California cool just like Rodeo Drive. Every luxury benefits are just moments away at DamacTowers by Paramount Hotels & Resorts Dubai.The community is spread over a total of 80 million square feet and ideally located in the heart of Dubai and served by two of the biggest traffic arteries in the Emirate - "Al Khail Road" and "Sheikh Zayed Road". Damac Properties was founded in the year 2002. The group is famous for developing properties across residential, commercial and leisure segments. The company has rapidly expanded into several Middle East markets which include Saudi Arabia, Qatar, Jordan and Lebanon apart from North Africa. 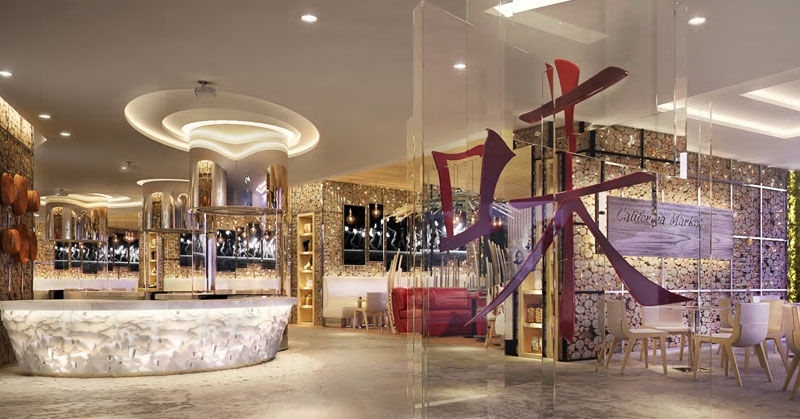 The company is known for constructingultra-luxurious projects and collaborates with globally renowned designers and architects for its projects. Their aim is to develop projects at prime and strategic locations and makes use of the very best construction materials. 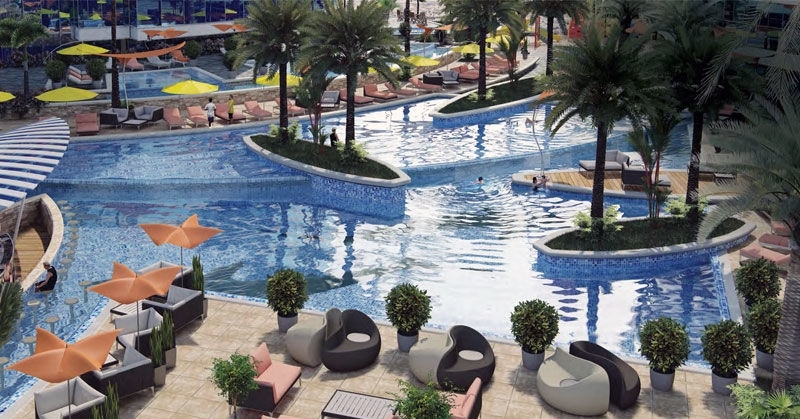 The company is also into hospitality development and is one of the Middle East’s most well-known luxury real estate brands.It has also built more than 13,000 units across hotel rooms, serviced villas and serviced hotel apartments.It has already delivered more than 17, 900 units over the years while there are 44,000 units currently being constructed. Damac Towers project is located in Burj Area at Business Bay Community, Dubai, UAE. Each of the serviced apartments in Damac Towers is providing high end concierge services such as luxurious spa, kids club, fully fitted kitchens, unique rental pool schem, and some in room facilities. In addition, the towers meet at a multi-level plaza that offers the following amenities: - Themed Food and Beverage concepts, Meeting and Events Space, a screening room, wellness and Fitness Centres, Expansive Swimming Pools, 24 hour Kids Club Retail, Merchandise that particularly feature the Paramount brand. Schools: - Canadian Kids Nursery, GEMS Our Own Indian Schools, Dubai International School – Al Quoz, Canadian University of Dubai. Hospitals: - DM Healthcare, The Dubai Mall Medical Centre, Al Amal Hospital, Aquacare Medical Centre, The Clinic. Shopping Malls: - Dubai Mall, Galleria Mall, Beach Park Plaza, City Walk, Mercato Mall. Metro Stations: - Business Bay Metro Station, Burj Khalifa/Dubai Mall Metro Hospital, Financial Centre Metro Station. Communities: - Moon Tower, Sterling Towers, Vizir Downtown Dubai, Burj Pacific, Damac Maison Upper Crest.